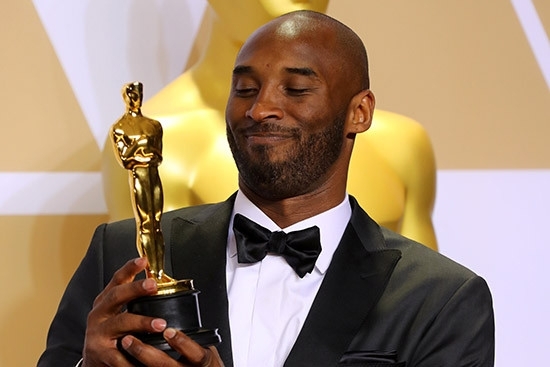 Kobe Bryant is the first professional athlete, and the first Black person to ever win an Oscar for Best Animated Short film. He took home the prize for his film, Dear Basketball. The film is based on a letter he wrote to The Players' Tribune on November 29, 2015, announcing his retirement from basketball. "The hardest thing for an athlete to do is to start over," Bryant said as he stared at his Oscar in shock backstage at the 90th annual Academy Awards. He described winning the award as a better feeling than achieving any of the five championships that he won during his career in the National Basketball Association. Bryant has always known that he's wanted to tell stories. However, moving from the court into film world was no easy task, especially considering the rhetoric that suggests athletes should simply shut up and dribble. "To be here right now gives me a sense of validation," the former Laker explained.